Spider-Man PS4 Setting Records for Sony | Nerd Much? Sony is continuing to have one hell of a year. After God of War dominated the first half of the calendar, Insomniac’s Spider-Man swung in to pick-up the mantle. So much so that Spider-Man for PlayStation 4 is now the fastest selling first-party game in Sony’s history. After releasing on September 7th, it took Insomniac Games’ Spider-Man just 3 days to sell 3.3 million copies. As mentioned above, that’s a record for the game’s publisher, Sony Interactive Entertainment. As you may already know, the record was previously held by God of War following the game’s debut earlier this year. Kratos’ reemergence for Sony sold 3.1 million copies in its first three days. As impressive as Spider-Man’s 3.3 million in sales is, that number still doesn’t account for the $399.99 Spider-Man limited edition PlayStation 4 Pro console that released alongside the game. There are also 3 DLC packs coming to continue the game’s story with new characters and accessories. Dubbed “The City That Never Sleeps”, each of the 3 episodes will cost $9.99 on their own. Or you can purchase them as a bundle for $24.99. 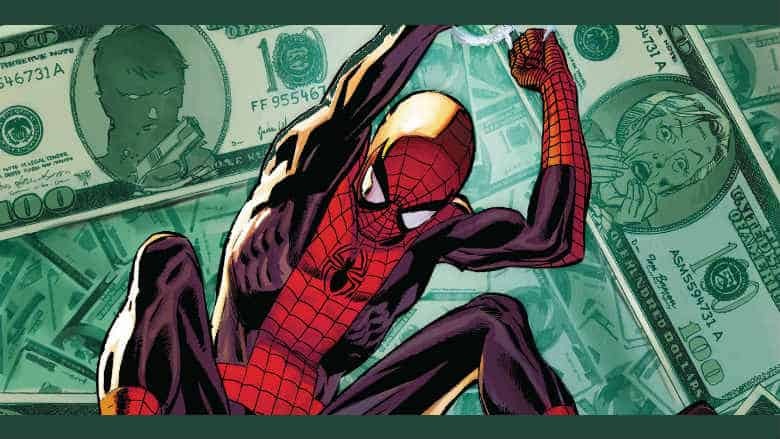 The first episode, titled “The Heist”, revolves around Black Cat and is scheduled to land on October 23rd. The following 2 episodes will arrive in November and December. All in all, Spider-Man on PlayStation 4 has been a massive success for Sony, Insomniac, Marvel, and perhaps most of all, Spider-Man fans. There’s no doubt that a sequel is most assuredly coming our way. In the meantime, for more PlayStation 4 Spider-Man coverage, checkout Nerd Much?’s recent piece focusing on 3 Key Takeaways from one fantastic game.